Caring for an elderly person with dementia can be very taxing. Often family members undertake the role of caregiver gradually, without a realization of how difficult the task can become. 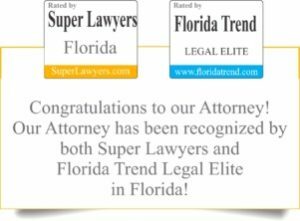 However, those providing care need to understand that by undertaking the role, they can be exposing themselves to criminal liability, if they fail to provide the care that a “prudent person” would consider essential for the well-being of an elderly or disabled adult (§825.102 Florida Statutes). 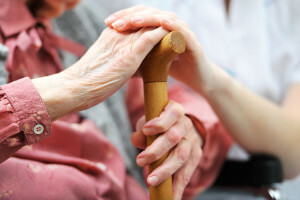 A caregiver can be charged with failing to provide an elderly person with care, supervision, and services necessary to maintain the elderly person’s or disabled adult’s physical and mental health, including, but not limited to, food, nutrition, clothing, shelter, supervision, medicine and medical services that a prudent person would consider essential for the well being of the elderly person or disabled adult or failure to make a reasonable effort to protect an elderly person or disabled adult from abuse, neglect or exploitation by another person. If the elderly or disabled person suffers great bodily harm, permanent disability or permanent disfigurement as a result of the negligence of the caregiver, the caregiver commits a second degree felony. Second degree felonies are punishable by a term of imprisonment not exceeding 15 years. If no great bodily harm, permanent disability or permanent disfigurement is caused, the caregiver commits a felony in the third degree. Third degree felonies are punishable by a term of imprisonment not exceeding 5 years. “Caregiver” is defined as a person who has been entrusted with or has assumed responsibility for the care or the property of an elderly person or disabled adult. Caregiver includes but is not limited to relatives, court-appointed guardians, adult household members, neighbors, health care providers and employees. “Disabled adult” means a person 18 years of age or older who suffers from a condition of physical or mental incapacitation due to a developmental disability, organic brain damage, or mental illness, or who has one or more physical or mental limitations that restrict the person’s ability to perform the normal activities of daily living. “Elderly person” means a person 60 years of age or older who is suffering from the infirmities of aging as manifested by advanced age or organic brain damage, or other physical, mental, or emotional dysfunctioning, to the extent that the ability of the person to provide adequately for the person’s own care or protection is impaired. Caregivers need to be mindful of Florida law when making decisions about leaving their loved one with dementia alone. Efforts to prevent wandering or to prevent falls can also run afoul prohibitions in the statute against “unlawfully caging” an elderly or disabled adult. Such caging is considered “aggravated abuse of an elderly person” and is a first degree felony. First degree felonies are punishable by a term of imprisonment not exceeding 30 years.